After 10 glorious weeks of learning, we are drawing to the end of this Just Bread course. This time round we experimented with a slightly larger group of participants, 11 in total, which worked exceedingly well, giving lots of energy and many hands to every task! We also had a mix of both refugees and those still awaiting their status from the Home Office, so the group was particularly mixed in terms of where they were living and what work they could do, if any. In most cases, the women were forbidden from working and therefore the oppor tunity to be at the bakery once a week built some vital structure and community into their lives, in a time which is incredibly hard and tedious for those seeking sanctuary. Last week, I am happy to announce, everyone excelled in the Health and Safety certificate level 1 and passed with flying colours. This certificate enables them to work in commercial kitchens which some of them may well be interested in doing in the future. After completing the test in the morning, we then traveled to neighbouring bakery, Better Health. 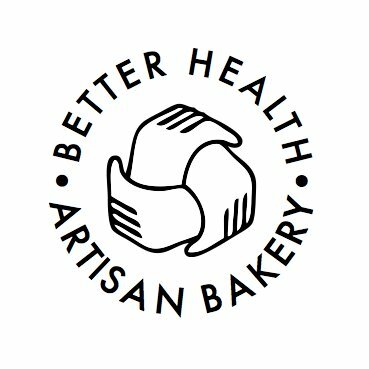 Better Health is a social enterprise based in Haggerston that works with people with mental health problems. Similar to e5, it prides itself in being a beacon for the sourdough movement and offers a uniquely sourdough range of loaves. They talked us through the process of starting up their social enterprise and their key values as an organisation helping people in the community. Tuesday is our last session with this group and we will be celebrating in style; sharing recipes from one another’s homelands. We hope to stay in touch with the women, offering help where we can and hopefully baking more bread in the future! We hope that at the least, everyone has learnt a great deal from one another in both skills and knowledge of each other’s life experiences.